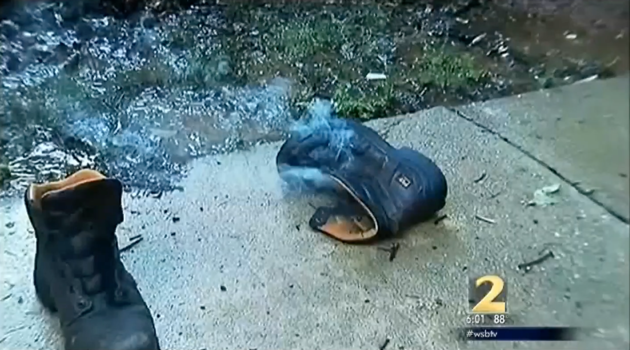 Man Survives Lightning Strike That Knocks Him Out of His Boots. Not many people ever get to experience what Sean O’Connor has and live to tell about it. The Atlanta man was working out in his yard on Saturday when he was struck by a bolt of lightning. The lightning strike hit O’Connor in his steel-toed boots and sent him flying out of them and across his yard. O’Connor literally didn’t know what had hit him and initially said he wasn’t sure what had just happened. However, after seeing his smoking shoes and the burnt hair on his leg, he put two and two together. Not to mention that his mouth was full of blood. “When I noticed my shoes were on the other side of the driveway and I heard the thunder, I realized it was lightning that had just hit me,” O’Connor said to ABC News. The absurd thing is that when he went in to a local hospital the doctors didn’t believe his story initially. “At first they didn’t believe me, but when I showed them the singed hair on my legs and the boots they all wanted to shake my hand. 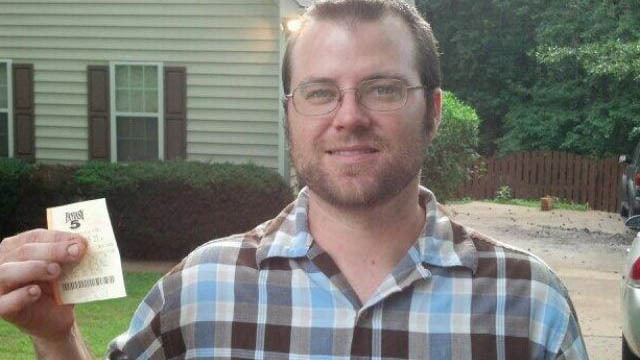 They said they’d never met someone who lived after being struck by lighting,” O’Connor said to WXIA-TV. At the doctors they used an electrocardiogram scan to reveal that O’Connor had an irregular heart rate and the doctors kept him over night for observations. That is apparently a common condition associated with injuries from lightning strikes. The doctors let O’Connor return home the next day and he is doing fine now. The scary thing is that one of the doctors told him that people that get struck by lightning usually are more prone to have it happen again. We’ll see if O’Connor wears steel-toed boots when he works outside ever again.